"Everything was destroyed in the air raids." 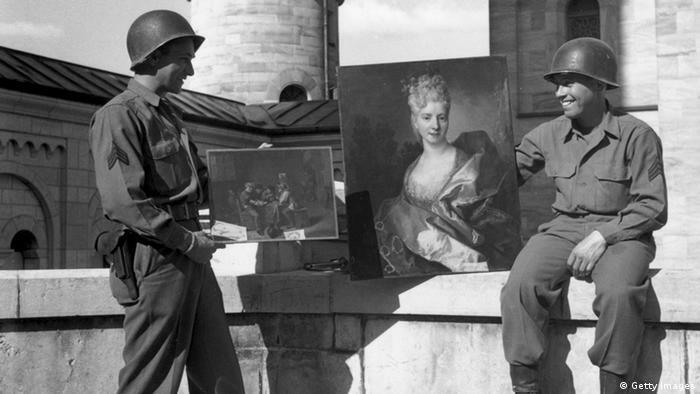 That was a phrase American troops (pictured above) heard frequently just after World War II while they were searching for artworks that had been looted by the Nazis. In addition to notorious art dealer Hildebrandt Gurlitt, numerous other Nazi dealers attempted to wash their hands of unethical acquisitions, even though a large portion of the art transactions conducted in the run-up to and during World War II involved works misappropriated from Jewish collectors. As one of four buyers for the planned Führermuseum in Linz - which was to hold a grand collection of Nazi-looted art but was never fully realized -, Gurlitt had good contacts among the Nazi authorities. But his colleague in Munich, fellow art dealer Adolf Weinmüller, greatly surpassed him, establishing a monopoly over auctions involving looted art. The catalogue of Weinmüller's auction house was recently published online as part of the Lost Art database. Weinmüller joined the Nazi party early on, in 1931. At that time, he was still developing his career as an art dealer, according to Meike Hopp from the Central Institute for Art History. "Adolf Weinmüller had an art dealership in Munich from 1921, but we don't know much about the time between 1921 and 1933," she said. 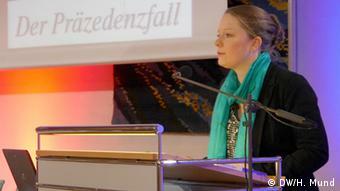 Hopp wrote her dissertation about Weinmüller and was instrumental in the recent publication of his business documents. "Starting in 1933, his career boomed because he became chair of the federal association of art and antiquities dealers," Hopp explained. "After that, he had a great deal of influence on the elimination of Jewish art dealers because, as a state-approved appraiser, he refused to give Jewish businesses licenses to hold auctions." That meant that Adolf Weinmüller had an overview of which auction houses would be losing their licenses and was thus able to profit unscrupulously from the "Aryanization" of the art sector. By late 1938 - after the Germany-wide Kristallnacht pogroms in November of that year - all 628 Jewish-run art and antiquity dealers had been put out of business and their inventories plundered. Founded in 1936, Adolf Weinmüller's auction house became the most prosperous in the business. One of his best customers was high-ranking Nazi official Martin Bormann, who was commissioned with purchasing valuable old paintings for Hitler's personal collection. 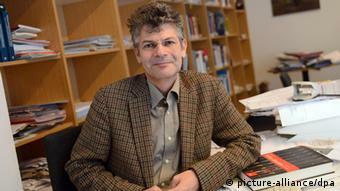 Within a short time, the auctioneer managed to create a monopoly on the German art scene, according to Uwe Hartmann, director of the provenance research unit at Germany's Federal Office for Central Services and Unresolved Property Issues. "In some cities, the artworks seized from Jewish owners after 1938 were auctioned by his house, nearly without exception." In summer 1941, Weinmüller started traveling regularly to Prague together with Hans Posse, director of the planned Führermuseum in Linz. "He was allowed to go to the Gestapo headquarters and select paintings and furniture that had been confiscated from Jewish collectors and art dealers," explained Meike Hopp. "That clearly indicates that a large portion of the objects he dealt with were supposedly looted." By 1944, Adolf Weinmüller had amassed an impressive collection. In Vienna he took over the "Aryanization" of the Jewish gallery Kunsthaus Kende and opened a branch of his own there. 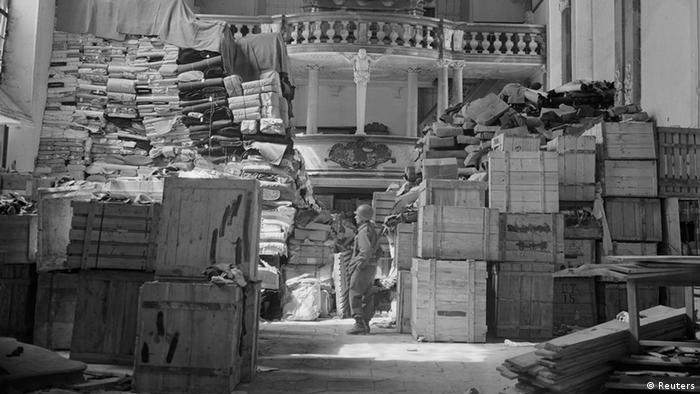 After the war, the so-called Monuments Men sent by the Allied forces recovered 34,500 works in his auction houses. In contrast, Gurlitt was a small fish, says Meike Hopp, pointing out that the Allies' list of Hildebrandt Gurllit's inventory took up three pages, but Weinmüller's filled an entire binder. "It's hard to even imagine the dimension of the works that were in his inventory in 1945," she said. "And that's what he built his post-war business on." The publication of Weinmüller's documents from 1936-1943 reveal the extent of his massive collection: 51 auctions were recorded in 93 catalogues, which were recently made available to the public on the Lost Art website. The documents include the deliverer, the sale price and exact details of each work that came under Weinmüller's hammer. There's one exception, explained Meike Hopp: "For us it was clear that we didn't want to publish the names of the buyers online, in order to avoid any form of defamation or slander." In researching Weinmüller's past for her dissertation, Meike Hopp stumbled upon incriminating evidence, but his business documents appeared to have been destroyed. In 2009, with support from the federal government and the Neumeister auction house, her research was expanded into a bigger project. The coincidental discovery of Weinmüller's auction documents in a steel air conditioning cabinet in March 2013 was all the more valuable, says Kathrin Stoll, director of the Neumeister auction house. "There were bundles that were tied together. And then you could see the name of the consignor: 'Gestapo.' Then you get goose bumps." It may be an expression of the democratic responsibility felt by the post-war generation: Kathrin Stoll, whose father, Rudolf Neumeister, bought Weinmüller's debt-ridden auction house in 1958, quickly cleared it with her family that she wanted to make these dramatic documents available to the researchers and the public. "We didn't want to hesitate a day longer because we knew that every day heirs or descendants of disposssessed Jewish families may die," said Stoll. We knew we had to go public very quickly - unlike the Gurlitt case, which was kept secret for two years." Uwe Hartmann holds Kathrin Stoll in high regard for her approach. "She makes it clear that dealing with this issue differently is perhaps a generational issue. She described it fairly visually when she said, 'I don't want any corpses in my cellar!'"